Cheryl Ardler’s former partner has been charged with her murder, more than six years after she disappeared from her home in Sydney’s north west. The breakthrough happened shortly after Dennis French faced Penrith Local Court today on an unrelated matter. 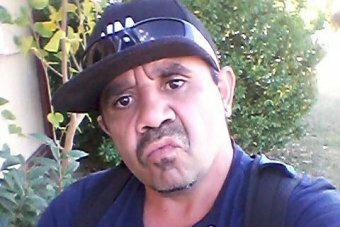 The Walgett man is accused of killing Ms Ardler before dumping her body in bushland near Cranebrook, in Sydney’s north west, just before Christmas in 2012. Ms Ardler was last seen walking down an alleyway near a bus stop on Geenhalg Road in early December 2012. Her devastated mother and sisters reported her missing in early 2013 following concerns for her welfare. In 2016, the NSW Coroner ruled Ms Ardler, 41, had most likely been murdered and referred the case to homicide detectives for reinvestigation. In May 2018, a teenage boy found human bones in bushland about 800 metres from where Ms Ardler disappeared. ndigenous woman met with foul play. Ms Ardler’s mother, Irene, said today was a “bittersweet moment” for the family. “It’s very hard to know that our beautiful Cheryl will never be coming home and that she was so cruelly taken from us,” she said. “Cheryl’s smile could light up the room and her love for life was infectious. Last July, Homicide Squad Commander Scott Cook announced a $750,000 reward for information that could track down Ms Ardler’s killer. At the time, her sister Josephine Ardler sobbed in front of the cameras as she made yet another appeal for the public’s help. “Our family is so devastated to know we will never see or speak to Cheryl again,” she said. “Our hearts are broken — this has changed our lives forever. Mr French has been refused bail and is due to face court again in June.